Along with the rest of the NBA’s top power forwards. NBA 2k18 is set to launch on September 19th. Until then, the company has been releasing the ratings of numerous players. Now, 2K has tweeted the top 10 rated power forwards in the game. LaMarcus Aldridge landed 7th on this list with an 85. That puts him behind the likes of Anthony Davis, Blake Griffin and Draymond Green. Aldridge’s rating is his lowest score since 2k14 when he got an 84. Hopefully next season the 11-year vet can improve his play and up his rating. 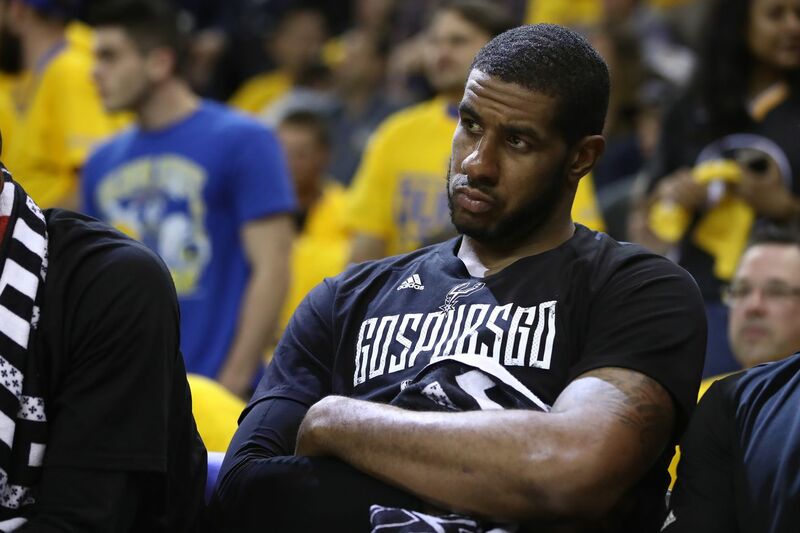 What do you think about LMA’s rating based on his performance this past season?